For children, dandelions are good for one thing: making wishes by blowing off the fluffy white tufts. For adults, dandelions are good for something much more practical: eating. Spring is the prime time for many prized, ultra-seasonal herbs, vegetables and legumes. Before you head out to the Greenmarket, let us prep you on how to buy and cook these obsessed-over items. For children, dandelions are good for one thing: making wishes by blowing off the fluffy white tufts. For adults, dandelions are good for something much more practical: eating—especially before they flower, when the young leaves are perfectly tender. Where: Dandelion greens can be found almost anywhere, but it’s best to get them from a trusted farmer rather than a yard or roadside knoll where someone may have sprayed chemicals, pesticides or herbicides. They are available across the country. What to Look For: Vibrant color, thin stems and perky leaves. Flavor Profile: Bitter, peppery and very green. Health Benefits: The leaves are packed with vitamin A, vitamin K and calcium. They are also believed to reduce swelling and inflammation. 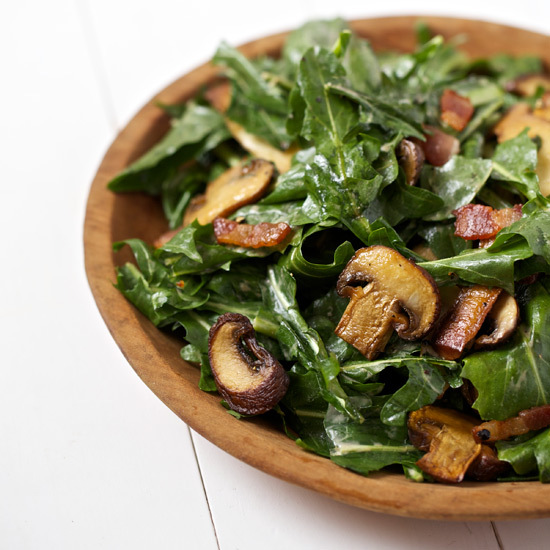 How to Eat Them: Try dandelion greens raw in a salad with rich ingredients like goat cheese, bacon or eggs. Briefly grill them to mellow out their bitterness and pair them with sweet-and-savory pancetta-wrapped figs. Sauté or braise them as you would spinach. Or include them in your next green juice for a delightful kick.